In January 2010 Rishi Vegad had to learn to walk again after losing a leg in a hit-and-run accident. He initially struggled with traditional prosthetic limbs that are cumbersome and difficult to control but in 2013 he got to trial the Linx, the current winner of the Royal Academy of Engineering MacRobert Award and has since been involved with its development. Currently a 2nd year aerospace engineering student at Kingston University, the 29 year old from West London took time out to give Student Engineer a candid insight into prosthetic limb development and his aims as an engineer. How old were you when you when the hit-and-run accident happened? I was 22 years old. I was out walking a friend’s dog in 2010 when the accident happened – about nine months before I was due to start at university. 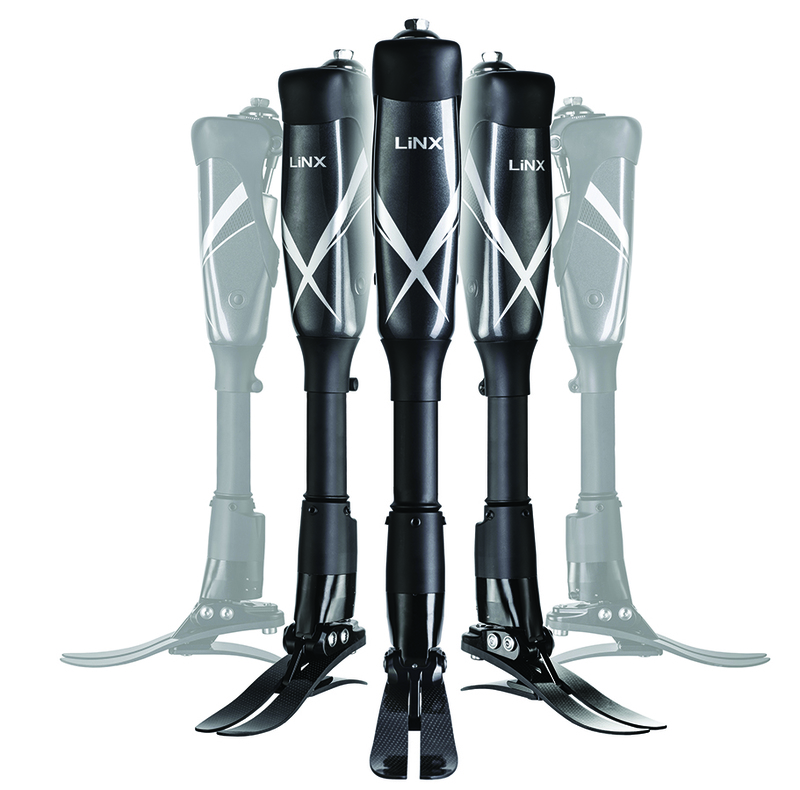 Can you describe your difficulties with prosthetic limbs prior to getting involved with Linx? 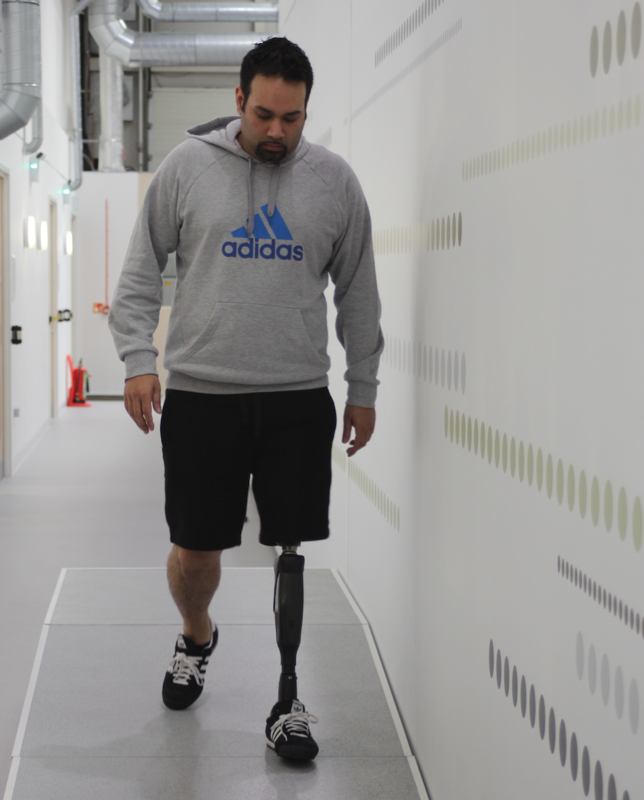 Standing still is a challenge for lower limb prosthetic wearers: we have to use a lot of energy and concentration just to hold the leg steady. Before the Linx, all the limbs I used had been mechanical, not mechatronic, which combine electronic and mechanical systems. A common problem was that if I didn’t stand exactly right, the knee ‘jack-knifed’ and I fell over a lot. It’s a trust issue really – when a mechanical cylinder fails you it knocks that trust you have in the limb. 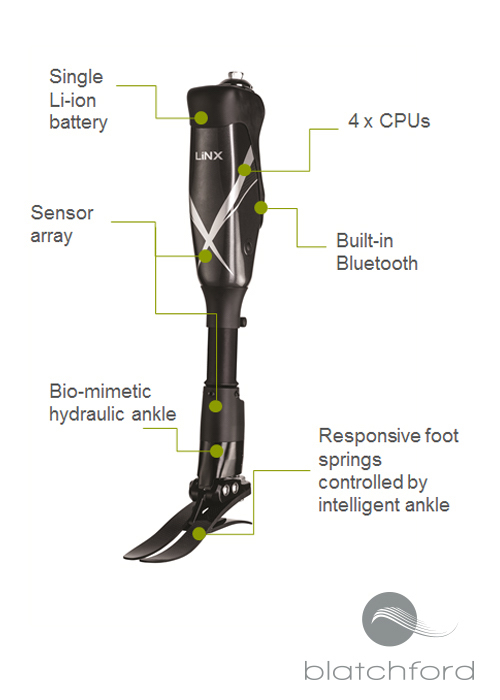 The Linx has a central computer which acts a bit like the human brain, via software called Mi² (Motion integrated intelligence) to help the knee and ankle work together. The Linx means I can walk confidently, knowing that the limb will be at the right speed and support level for me at all times. Speaking of Linx, how did you become involved in its development, and at what age? In 2013, at the age of 25, I got a prescription that consisted of Blatchford’s Orion knee and Elan foot prostheses – designed to optimise stability when standing and walking. It’s like the Linx but without the integration between the knee and ankle. I used it for two months before I was approached by Blatchford to try the Linx. 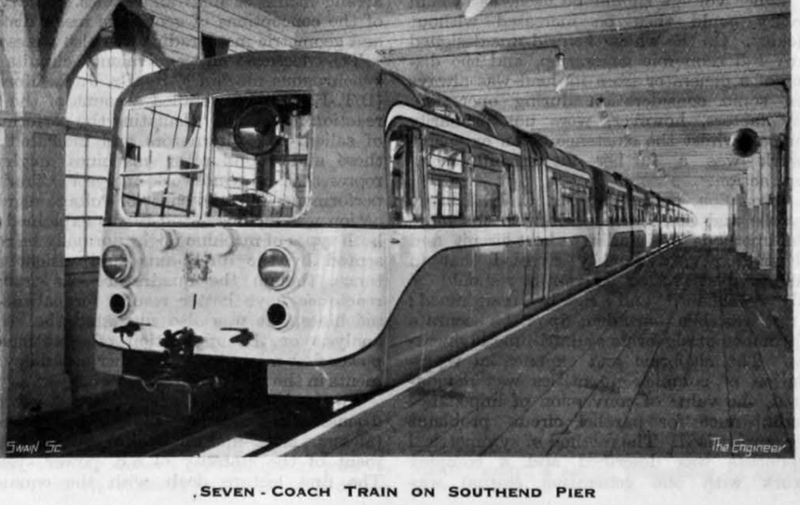 Given my interest in engineering, I was given the opportunity to work closely with the engineering team while I trialled it. The Linx was on the drawing board – we’d test it and work with it on the assembly bench, all the while its reliability improved. 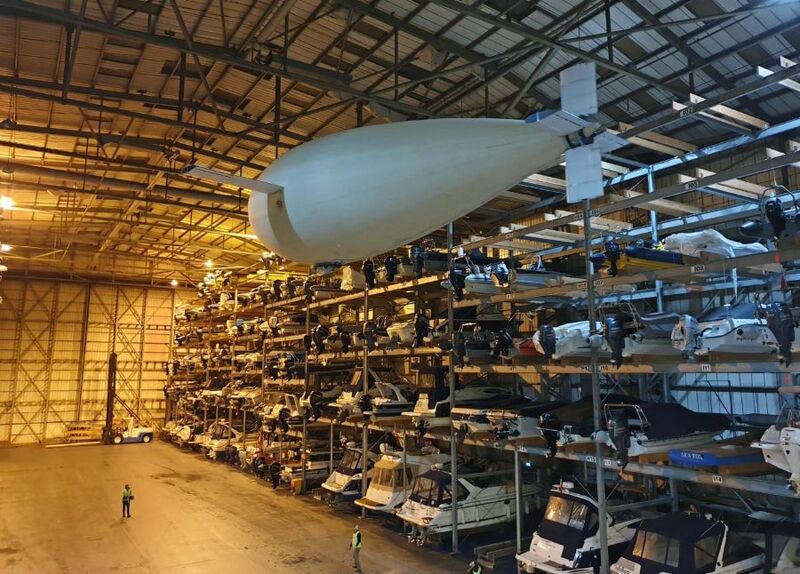 I learnt so much, including the business side, such as how a process or idea is progressed through a large development firm as well as the technical work that goes into such a piece of engineering. The electronic engineers there are truly inspiring – some of the things they do are almost like magic! As an amputee, what is it about the Linx that makes such a difference to the people? Electronics in general bring faith back into the system – the Linx limb is special as it’s the first ever prosthetic limb with integrated robotic control that means the knee and foot work together properly. The Linx senses when I come to a standstill and automatically locks so that I can relax confidently. That one feature makes a massive difference because it actually ‘saves’ my other leg from having to take the extra pressure. This means I’m extending both the time I can spend on my feet and the overall life span of my ‘good’ leg. 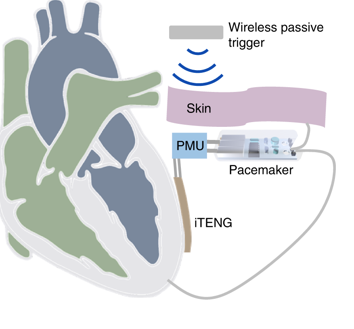 When I want to move again, the sensors immediately leap into action and unlock seamlessly. For me, the best thing about the Linx is the variety of surfaces I can now walk on comfortably. In the past I had to plan my day to accommodate getting around using a mechanical limb, but now the smart robotics in the Linx Limb system constantly monitor and adapt to my movements and the environment so I can go anywhere, including rough ground and up and down ramps. At what stage with Blatchford did you realise that you wanted to continue your studies and become an engineer? Getting involved with the Blatchford team as I tested the Linx limb really tipped me back towards my love of engineering. Seeing how they work behind the scenes, and gaining an understanding of the whole process – from design and development all the way through to marketing the end-product – was fascinating. The team won the Royal Academy of Engineering MacRobert Award in the summer [of 2016]. This is the UK’s top innovation prize and it’s inspiring to think that I’m working with a group who impressed a panel of some of the biggest names in UK engineering. We’ve been told that you aim to work on engineering projects that improve other people’s lives. How are you going about this? Designed and made in Basingstoke, the Linx is a brilliant example of UK engineering – I’m proud to wear a Blatchford limb and I wear shorts while doing it. That’s where it starts really – not hiding my leg. I’m proud that, in fact, my amputation means that I am now rocking a serious bit of titanium carbon fibre. Prosthetics are fascinating and a really rewarding piece of engineering that can change people’s lives. As a student of aerospace engineering do you think you’ll pursue a career in that sector, or can you see yourself in a different one? The full title of my course is aerospace engineering with astronautical and space technology – so there’s a lot of scope. What really floats my boat is propulsion, in particular engines in aircraft and rockets. Rocket engines require you to carry oxygen as they’re used in space, where there’s none available. In contrast, jet engines use air that’s already in our atmosphere. In a bid to lower the cost of launching satellites a company called Reaction Engines is trying to combine these two so you have an air-breathing rocket engine – the SABRE engine is really an inspiring piece of engineering. Although as I already have a foot in the door (metaphorically!) I may well go further into prosthetics. Have you gained any work experience with other companies? I’m also doing a placement with local engineering firm, MTTS Ltd, near Kingston where I get to conduct materials testing, including destructive testing of knees which Blatchford have kindly given me, as well as prototype building… lots in terms of manufacturing processes. I consider my work with Blatchford almost as an on-going placement. I’m also working with them on their Orion3 limb, which has five levels of stance resistance – optimising user safety when walking, standing, descending slopes and stairs, and when sitting – and it also provides stumble recovery. Working with a local firm alongside my studies should help to give me solid skills in general engineering processes and problem solving. It will also help to make sure that I get practical use of the theory I’m learning at university. Gaining lots of manufacturing skills now will make sure that I have lots of cross-sector skills when I graduate. Do you have any tips for 16-18 year olds that might be wavering between choosing a career in engineering and another profession? If you’re interested in engineering, approach universities outside of their open days. You want to go and see them in action, teaching those practical skills – much more useful than a general open day. Also approach companies – they want to see keen young people who sell themselves and are generally very hospitable when it comes to showcasing their work. What’s the worst that could happen? You might get told no, but be brave, be pro-active and create your own opportunities! Sticking with aerospace, what’s your all-time favourite aircraft, and where do you see yourself 5-years after graduation? The SR71 Blackbird – a former US spy plane that travelled over three times the speed of sound over the USSR. It was designed to be faster that any missile so it wouldn’t be shot down and it flew at the edge of the atmosphere. It also looks the part; two engines that look otherworldly – I love espionage / military technologies. I’m still in the learning mindset and keen to keep trying new things and experiencing broad sectors. But I do love prosthetics, so it would be awesome if that’s where I was [in 5-years]! One can only feel humbled by the incredible courage shown by this young man: turning what could easily have been a life-changing (and damning) circumstance to advantage: not only to him but to us all. That individual motivation and desire (surely that should be DEMAND) to himself to succeed is surely an inspiration to us all.